Zip code 89144 is in the Master Planned Community of Summerlin (North), and is home to several great communities situated over 3.9 square miles that house close to 9,000 residential homes. The majority of homes in this zip code were built after 1990, and range from the high $100's to over $1,000,000. Summerlin has more than 150 parks, more than 2 dozen public and private schools, 14 houses o f worship, nine golf courses, three resort hotels, world-class recreational facilities, retail and entertainment centers, well-established office parks, as state-of-the-art medical center, and more - all playfully connected by more than 150 miles of nationally-recognized, award-winning trails that span the community. A wealthy of high desert activities, including hiking and rock climbing, encourage a healthy outdoor lifestyle. In Summerlin, the abundance of amenities combine to create the community's hallmark quality of life. Of course all of these great neighborhoods are served by Summerlin schools, including Staton Elementary, Rogich Middle School, and Palo Verde high, making this a great zip code to raise a family. 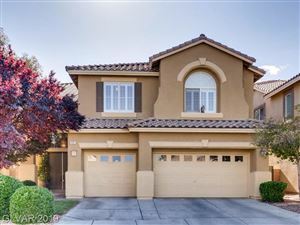 If you are interested in buying or selling a home in any of the communities in the 89144 zip code, please contact our team of Las Vegas Real Estate Agents and home specialists at Foster Beckman Group, who are available to help you buy, sell or invest in Summerlin North property. Call us today at 702-686-2695 to see how we can help you with all of your real estate needs!